My children love the movie Trolls. 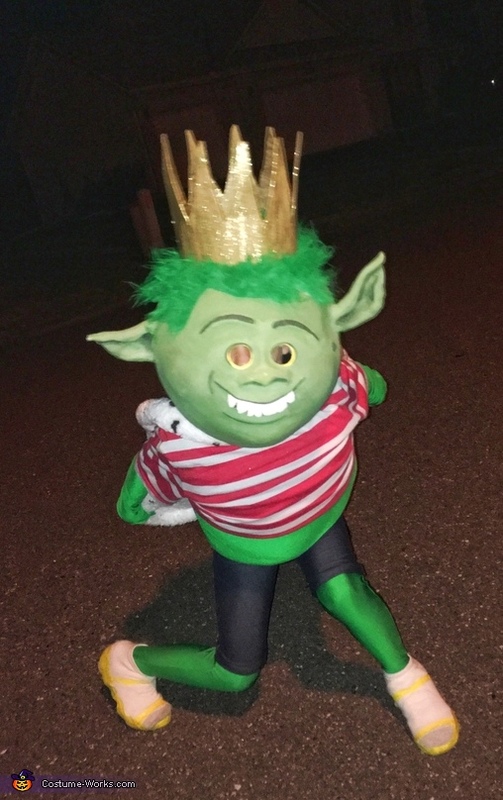 My daughter chose DJ troll and my son wanted to be King Gristle Jr. I started with paper mache for the masks and then covered that with some clay for a stronger mask. Painted them as best as I could. Used a cone and some tulle for the Trolls tall hair. Bought fabric and stitched up the cape used fabric markers to complete the look.